TheMART’s amenity-rich complex offers convenience that not only serves your business, but your employees’ day-to-day living, so everyone can flourish and thrive. We boast a state of the art conference center location on the sixth floor of theMART. For custom configurations up to 225 guests, visit MeetOn6.com. Additionally, Marshall's Landing offers great restaurant and private event space for groups of 10-300. To learn more, visit MarshallsLanding.com. With a food hall and lengthy list of other dining establishments within theMART, there's something to satisfy every craving. In addition to dining options, theMART houses shops and other conveniences that make managing your to-do list a little less time-consuming. 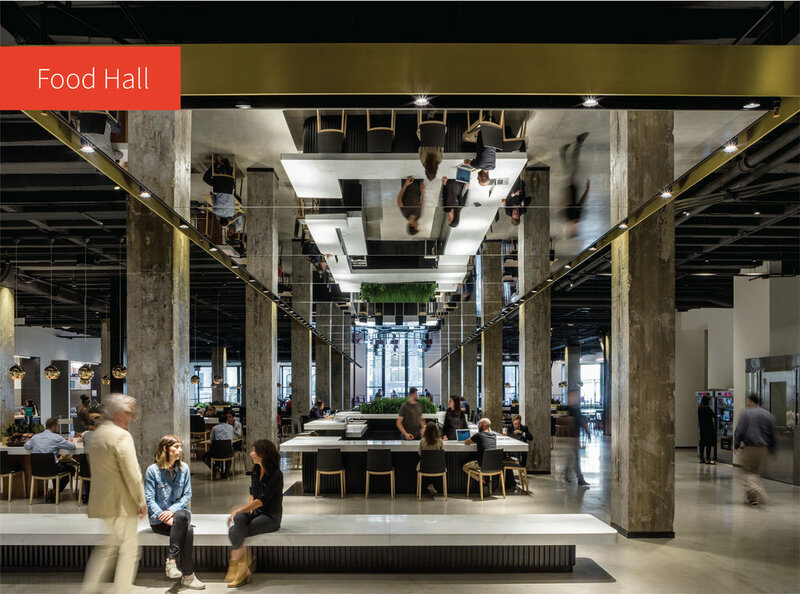 Located atop the Grand Stair on the 2nd floor of Chicago’s iconic Merchandise Mart, Marshall’s Landing is theMART's center for gathering, eating, drinking, caffeinating, and working. The vibrant space features a world class collection of furniture from top international designers, a grand bar, and a spectacular private dining room overlooking the Chicago River. Menus showcase peak-of-season ingredients for breakfast, lunch, and dinner, along with craft cocktails, beers, and an exceptional selection of coffees from America’s finest roasters.